Is there a new Samsung Gear VR on the horizon? The Samsung Gear VR is an excellent way to enter the world of virtual reality, a strong midpoint between Google Cardboard and Oculus Rift — and there may be a new version coming soon. The Gear VR has been around for longer than you may think: Developer editions were produced long before the official consumer launch at the end of last year. So is the time right for Gear VR 2? While Gear VR 2 may not come along for a while, we may see a revised Gear VR headset in the near future, ready for use with a currently unofficial (but highly likely) Samsung smartphone. And now, support for that theory has emerged in the form of a render published by NowhereElse and a pic posted by PhonesReview. 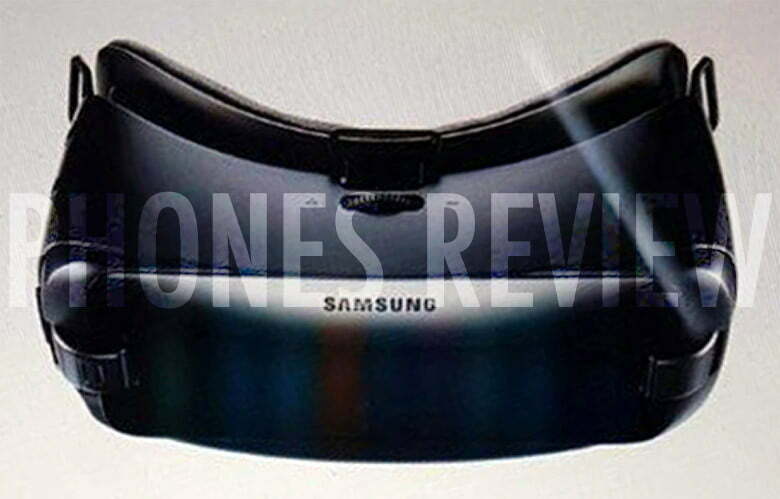 Both show a reported Gear VR 2 headset with a black exterior and slightly redesigned facial foam. If the images do, indeed, depict a rumored Gear VR 2, Samsung appears to have borrowed liberally from its predecessor’s design. The focus ring hasn’t moved from its position on the Gear VR, and neither has the directional pad or volume rockers. It’s remarkably similar to the current-gen Gear VR, and that’s potentially by design — Samsung could be striving for product continuity in an effort to avoid confusing would-be buyers. It may already be shipping, too. According to a listing on the Indian import database Zauba, a Gear VR with the model number SM-R323 has been sent from South Korea for testing. The significance of the model number comes from the current Gear VR being the SM-R322, and the previous developer and innovator editions being SM-R320 and SM-R321, respectively. Any change in model number suggests new features and design, but at the moment we don’t know anything about what secrets the SM-R323 holds. We can sure speculate, however. Samsung engineered the Gear VR to work with several of its top smartphones, to which it connects using a MicroUSB connector; but what if the Galaxy Note 7 uses the USB Type-C? That could end up being the defining difference between the current Gear VR and the SM-R323, ensuring Samsung can still use the Gear VR as another reason to buy an expensive smartphone. It even gave the Gear VR away as a free gift to people who pre-ordered the Galaxy S7 and S7 Edge, so if a new version is coming (and needed due to the Note 7’s spec), we should expect a similar promotion to run. The Galaxy Note 7 may be announced at the beginning of August, if the rumors are correct, at which time a revised Gear VR may make an appearance as well. Nothing is official for now, but we’ll keep you informed. Article originally published in July 2016. Updated on 07-29-2016 by Kyle Wiggers: Added render of reported Gear VR 2 headset. Andy Boxall and Kyle Wiggers contributed to this report.